FAQ-What is a Cinderella stamp? 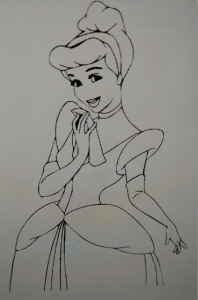 Defining a Cinderella stamp is a tricky business, as you will see. There always seems to be an exception to the rule in this field of collecting. Cinderella stamps are any kind of adhesive labels that were not issued by a government post office for sending the mail. Here is where it gets complicated though-some stamps that are considered “Cinderellas” were used for the mail, unofficial mail that is. AGGGHHHH! Read moreFAQ-What is a Cinderella stamp? FAQ-What is a revenue stamp? Even though they are called “stamps,” revenue stamps have nothing to do with the postal service. They were not used for the sending of the mail. Strictly speaking, they are labels that were applied to official documents. True, they sometimes resemble certain postal issues, but they have no postal value whatsoever. 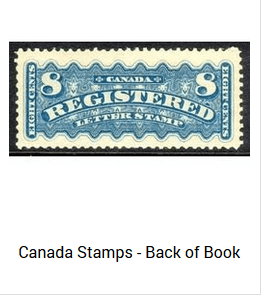 They were issued and used by various governmental offices to collect taxes—hence the name “revenue” stamp. Read moreFAQ-What is a revenue stamp? Read moreFAQ-What are BOB stamps? FAQ-What is a «Fancy Cancel»? In its truest sense, a cancellation (also called a cancel, killer or obliteration) is a mark without writing that is applied directly to a stamp to prevent it from being reused—often wavy lines, circles, bars, etc. Some cancels, called “fancy cancels” were designed and hand carved by individual postal employees as a matter of artistic pride. Although now applied by machine, in the late 19th and early 20th century, a cancellation was manually applied by a postal worker using a pen or a handheld stamp. 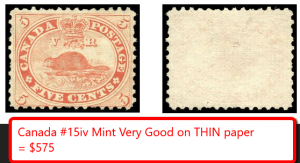 This article will concentrate mainly on the “fancy cancels” of early USA stamps. Read moreFAQ-What is a «Fancy Cancel»? 10 gift ideas for the stamp collector! One of the questions I am often asked is: What should I get my stamp collector friend/family member as a gift? If you’re not a stamp collector yourself, it can be difficult to figure out what kind of a gift a collector would appreciate. Here are 10 suggestions that are all available in our web store. You’ll find that there is a wide range of pricing options, something to fit every budget….and a few luxury items as well that just might have your stamp collector jumping up and down for joy. Happy shopping! Read more10 gift ideas for the stamp collector! One of the most interesting parts of stamp collecting is keeping an eye on how much rare stamps are worth throughout the years. 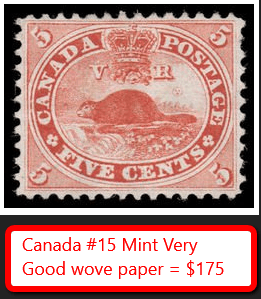 Here is a list of the 5 most valuable Canada stamps and what they have recently been sold for at auction. I researched extensively to get the most recent sale prices and as far as I know, all prices are in Canadian dollars. FAQ-How do I detect different types of stamp paper? Our last article explained how paper is made (click here to see article). This article will list and define the most common types of stamp paper you may come across. Make it your go-to reference guide for stamp paper! Read moreFAQ-How do I detect different types of stamp paper? FAQ-How is stamp paper made? Stamp paper is obviously the most important part of a stamp—no paper, no stamp!! 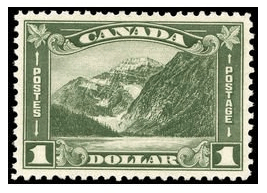 Also, the paper a stamp is printed on can mean the difference between a rare and valuable stamp, as opposed to one that is worth considerably less. When you start researching stamp paper (as I have recently! ), you’ll easily be blown away by the sheer number of varieties that exist (as I was!). This article begins with outlining the first step—How is stamp paper made? Read moreFAQ-How is stamp paper made? One of the USA’s rarest single stamps is the 1868 1¢ Benjamin Franklin Z-Grill. Printed and grilled in 1868, the Z-Grill design was not used for very long, a couple of weeks at the most. That short production time is what accounts for it being so rare today. 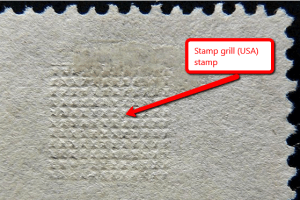 As explained in a previous article, a grill was a waffle-like design embossed on a stamp as a security measure to prevent reuse. See article: FAQ-What is a stamp grill? Read more1868 1¢ Benjamin Franklin Z-Grill-USA’s rarest stamp! Every time a stamp is used it is cancelled at the post office. A stamp can be cancelled by hand with a pen, or with a specially made canceling device. Unfortunately, many people would attempt (successfully!) to wash the cancellation ink off the stamp and then reuse it instead of buying a new one. Read moreFAQ-What is a stamp grill?